length: * 5'7" 5'9" 5'11" 6'1"
Over the last six years and hundreds of stops on the CI demo tour we have learned a few things. 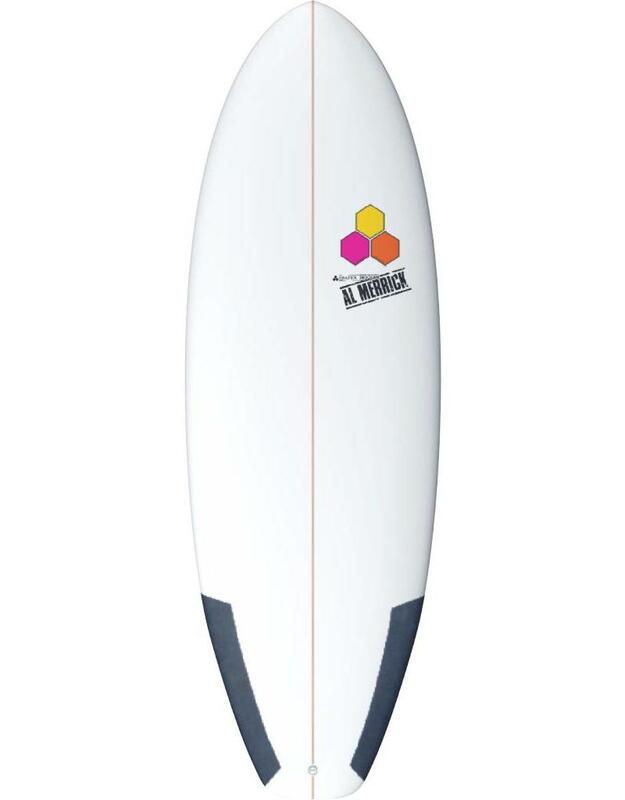 One of those is that surfers sometimes want something simple, fun, and easy to ride. Light single concave for the first 1/3 to deepening concave vee throughout. The Joe can be surfed off the rail or tail that has Al’s signature hip tail template to keep drive. Full rails keep high volume in a short outline. Channel Islands first and foremost is performance based and athlete driven, but not everyone’s next paycheck hinges on how critical their equipment works.